All Welded. Built To Last. 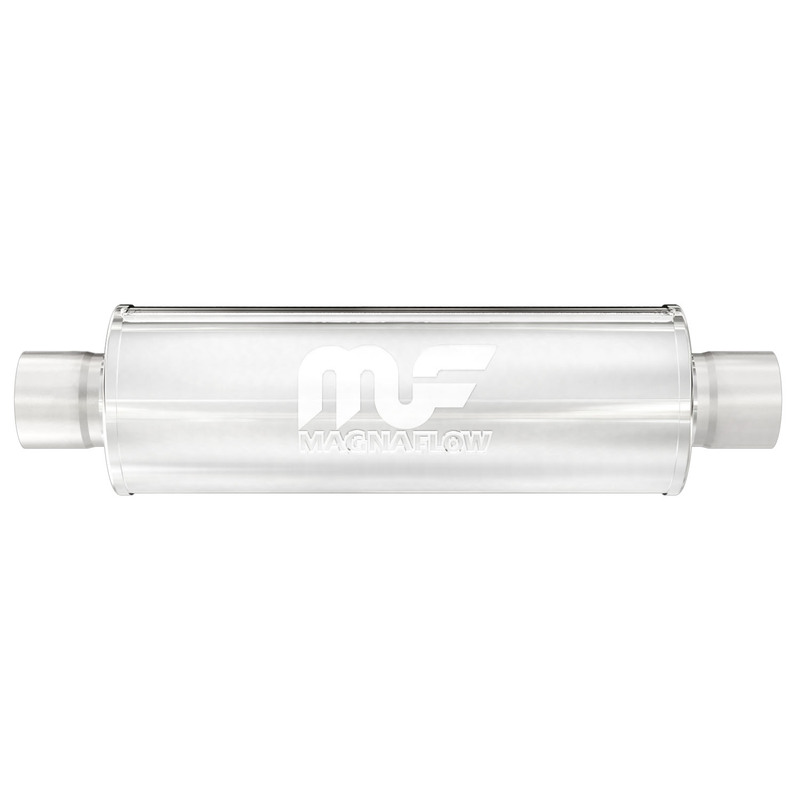 Magnaflow Polished Stainless Steel Mufflers are 100% stainless steel and lap-joint welded for solid construction and rugged reliability even in the most extreme conditions. They feature a free-flowing, straight-through perforated stainless steel core, stainless mesh wrap and acoustical fiber fill to deliver that smooth, deep tone. 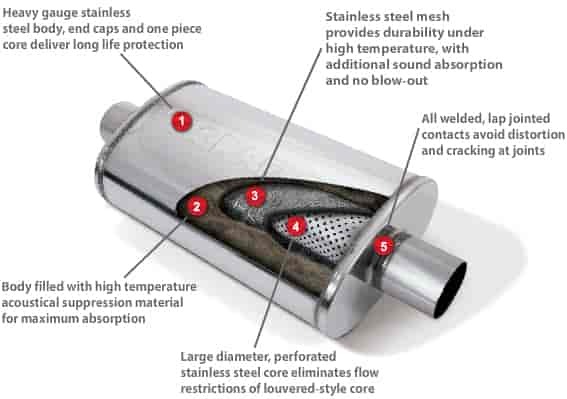 Mufflers are packed tight with this acoustical material unlike some others' products to ensure long life and no sound degradation over time. Backed by a Lifetime Warranty. .